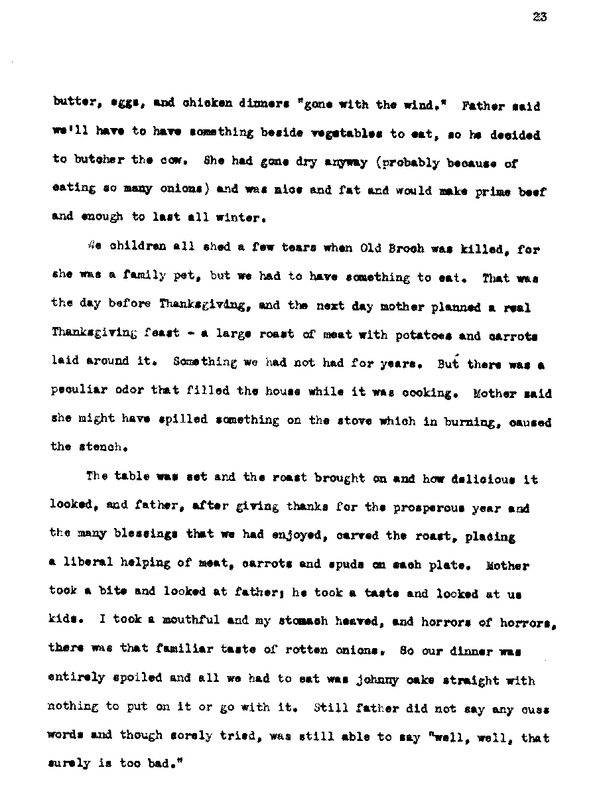 The page shown above comes from a transcript of a 1930s oral history interview with George Strester who remembers a memorable Thanksgiving time when his father, a preacher, tried farming in Nebraska in 1873. Click the links below to browse through some related images, then read Strester’s whole story. Describe how the images enhanced your understanding of the story. “We seemed to be enjoying the height of prosperity when alas, several things happened to mar our happiness,” says Strester in the last paragraph on page 2 of the oral history interview. Go through the whole story to discover each unfortunate incident, making a bulleted list summarizing each one that Strester recounts. Work with a group to create a graphic novel relating Strester’s story. You may use primary source images or create your own illustrations (just be sure that they accurately represent the time period).